Few Valencia CF players have been called for international duty for their respective countries. First up is Ever Banega who has been called for the Argentina national team and seems likely that he is going to start for Argentina in the friendly against Portugal. He and Mascherano have formed a good partnership in the middle for Argentina. Ricardo Costa also got into Portugal's squad, after Real Madrid's Ricardo Carvlaho sustained an injury. Ricardo gave an interview just several days earlier, saying how he would like to be called up for Portugal national squad and he got his chance. 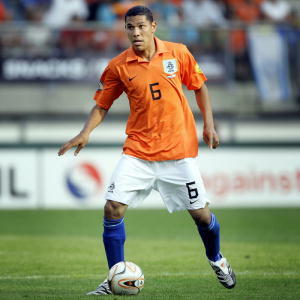 Maduro is also called up for the Holland national squad and he seems to be becoming a regular player for Holland. Maduro created the chance and provided the assist that led to the only goal in Holland's last match, in which they won 1-0. Jeremy Mathieu once again was not called for French national squad, Manuel Fernandes lost his place in the Portugal national squad after the change of coaches there, Topal was also overlooked by Guus Hiddink for Turkey national squad and Del Bosque did not call up Pablo, Soldado or Aduriz for Spain, even though his squad has been reduced to 20 man from injuries. Mata is injured and he also won't make the Spanish team, although this may be a good thing, since Valencia play in the Champions League very soon against Schalke 04 and will need all players rested, fit and injuries-free.